Living on the Gulf Coast puts many home and business owners at risk for structural water damage, but the water damage Cypress specialists with 911 Restoration Houston are available to provide emergency assistance 24/7/365, all year round. Sustaining water damage will not only ruin your property, and belongings but cause a stressful period for you and your family. The water damage Cypress specialist will arrive at the site of the disaster within 45 minutes of your call, equipped and ready to face any water disaster of any size no matter what time it is. You can rely on our licensed, bonded and insured water damage Cypress technicians for a thorough and free home inspection. We work with you in offering affordable pricing and long term solutions. Contact the water damage Cypress team with 911 Restoration Houston for your Fresh Start through our comprehensive and quality repair work. Storms and floods are not the only causes of water damage. Old pipes, clogged drainage systems and malfunctioning appliances can cause significant damage to the beauty of any home or office. A very simple tip from the water damage Cypress team is to take immediate action is crucial in preventing more damage. When our water damage Cypress team is dispatched to a home or commercial building, arriving equipped with state of the art machines and technology allows us to get to work right away. 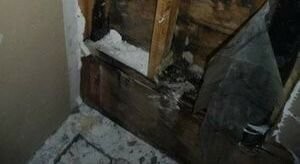 Mold growth will occur when shortcuts are taken in water damage repair jobs. By not extracting water correctly or poor ventilation will cause mold spores to produce. If you sense a musty smell without visible signs of mold, contact our mold removal Cypress professionals to safely and fully eradicate your home of all mold and fungal bacteria. In most cases, proper gear such as a hazmat suit is required in preventing unwanted elements from spreading and infrared cameras area used to locate hidden waters in walls, ceiling’s and flooring. 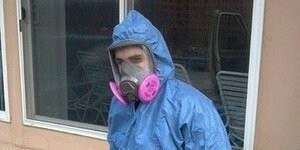 The mold removal Cypress team does not sleep until each customer has peace of mind. The staff at 911 Restoration of Houston is not only recognized as a quality restoration company, our staff is best known for finding the positive in a negative situation. Will Homeowner’s Insurance Cover Water Damage Repairs? While having homeowner’s insurance is a smart idea, it does not necessarily mean that your repairs are covered. Most policies hold a clause which states that coverage is not provided if the water damage could have been prevented with maintenance. This is why we offer to handle your insurance claim submission for you. 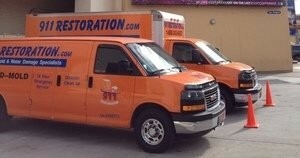 As leaders in the restoration industry, our experienced staff has the formula to obtaining the most amount of coverage. At the first sign of a water leak, don’t stress. 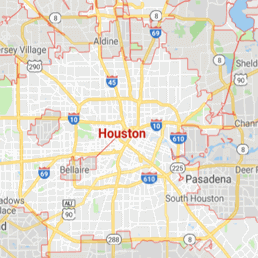 Call our water damage Cypress staff with 911 Restoration Houston, so you can have a better yesterday and a home restored better than its original condition.